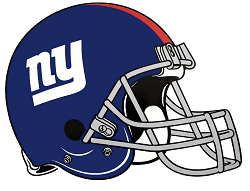 Formed in 1925, the New York Giants remains the oldest football teams in the National Football Conference (NFC) East division. The longevity of the franchise in the NFL has added to the lustre of the league, winning several championships and Super Bowl trophies in the process. The last time the Giants won the Vince Lombardi trophy was in 2012, defeating the New England Patriots 21–17. Since then, it the NY Giants haven’t had the same fortune nor have they showed the same resilience and spirit. Will they make it the playoff this season, let alone win the Super Bowl? Read on to get an impression of New York Giants odds of winning the Super Bowl. Midway through the regular season and Giants chances of lifting any silverware this season are looking dimmer by each game. Locate at the foot of the table, the trend of missing out on the playoffs looks like its far from ending. Having only participated in the playoffs once in the last five years, an overhaul might be on the cards. Veteran and legend of the game, Eli Manning’s powers seem to be waning with each season, and at age 37 he is in the twilight years of his football career. US bookmakers have since relegated New York Giants odds to underdog status, despite the weight of the name. While football odds change every day, they are affected by on the field and off the field factors around the club. The addition of Pat Shurmur boosted the change room and added excitement in the New Jersey-based team. His main focus was to improve the Giants’ running attack game and for the first part of the season, it worked. 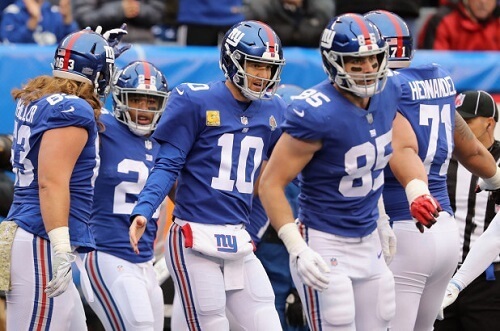 The NFL odds spiked but once teams figured their game plan, NY Giants stats dropped significantly. If you looking to bet on NY giants over-under bet, the payouts are fairly good. Find top US sports books to bet on and win.